Not only did the Super Eagles come top as the team with the finest jersey, Nigeria’s Super Eagles are the youngest squad in Russia at an average age of just 25 years and 337 days. 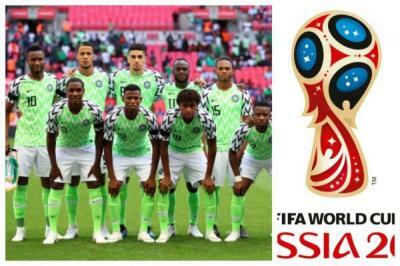 The Super Eagles of Nigeria has been revealed as have the youngest squad in the 2018 FIFA World Cup in Russia. Obi Mikel believes the exuberance of youth may be the Super Eagles’ secret weapon. “The players are full of energy and have a lot to prove because they’ve not played on this stage before. Not a lot of players were here for the last World Cup but I think that might be a good thing. It’s important for them to control their emotions so we have to keep that in check as well” he told reporters. Alrhough relatively inexperienced, Nigeria’s squad boasts a number of Premier League regulars, including Arsenal’s Alex Iwobi, Leicester City’s Wilfred Ndidi and Victor Moses of Chelsea. The game against Croatia will be played 8:00pm local time.